Vinh is one of the world’s top keynote speakers. Every year he speaks to over 100,000 people at 80 events all over the world. His clients include Microsoft, Google, Commonwealth bank, Facebook, and LinkedIn. 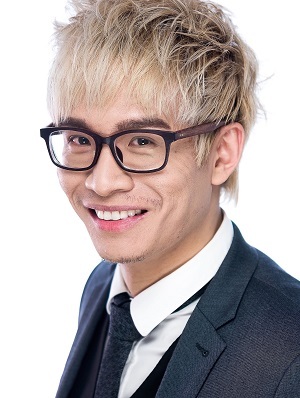 As an experienced keynote speaker, Vinh knows that what transpires on stage is not about him. It’s 100% about the audience. It’s about the life-changing lessons he’s been so fortunate to learn along the way and sharing them in a manner that transforms people. That’s where magic happens. There are common threads between the worlds of education and magic. Timing. Practice. Skills. Connection. Momentum. Persuasion. Perspective. Influence. Vinh has made the art of weaving those threads into messages that matter his life’s work. His goal is to move the audience to take life and career changing action. To inspire them, lift them up – and leave them with a feeling of wonder and empowerment. To see the possible in the impossible. To feel the magic in the metaphors and to find the solutions that set success in motion. Learn more on Vihn's website. When Anthony Jack arrived at his first year of university—amongst peers talking about their travels abroad, and their lavish summer homes—he wondered: “where are all the other poor students?” Since then, he’s made it his career to study the effects of being a poor student on a college campus. An Assistant Professor of Education at Harvard, Anthony breaks underprivileged students down into two categories—the “privileged poor”, low-income students at upper-crest academies; and the “doubly disadvantaged”, those studying at public, typically distressed schools—and how both groups experience a distraction from learning. In this talk, Anthony addresses how it’s not just enough to get in to school: he covers the costs of social exclusion lower-income students face, and offers some new, nuanced insights on what excellence and equity in schools actually looks like. 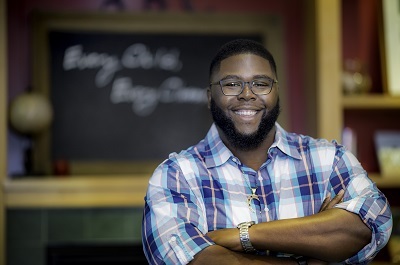 Anthony Jack is a junior fellow at the Harvard Society of Fellows and assistant professor of Education at the Harvard Graduate School of Education. His research has been cited by The New York Times, the Boston Globe, The Atlantic, The Huffington Post, The National Review, The Washington Post, American RadioWorks, WBUR, and MPR. His book, The Privileged Poor: How Elite Colleges are Failing Disadvantaged Students, was released by Harvard University Press in 2019.